In the month of November 2018 Staat van Beleg could list 731 human rights violations (and 157 reports/ analyses). (see our archive) This month we write about an uprooted Palestine. At this time of the year people all over the world are preparing for Christmas celebrations. People will travel from cities to cities, from countries to countries without realizing how fortunate they are. Families will come together and can celebrate their feasts in the places they wish to be. They can visit the towns where they were born or used to live, where they feel rooted and safe. Towns, villages, roads, parks, houses that are still there makes that they can remember their childhoods lively. But what about the Palestinian people? What about this Christian family in Gaza? Can they visit Jerusalem or Bethlehem or Nazareth, the places where their ancestors used to live and where still some family members are residing? Perhaps in very rare cases after months of obtaining the required permissions and with the right contacts some families can, but the majority of the Christians in Gaza will never get a glimpse of the Christmas tree in Bethlehem. And for the Muslims in Gaza, most of them will never get a chance to pray in al-Aqsa during the Islamic feasts. They cannot visit their relatives inside or outside Occupied Palestine and their relatives cannot visit them. Not to speak of the Palestinian refugees that are fighting to survive in remote areas and overcrowded refugee camps outside the Palestinian Occupied territories. 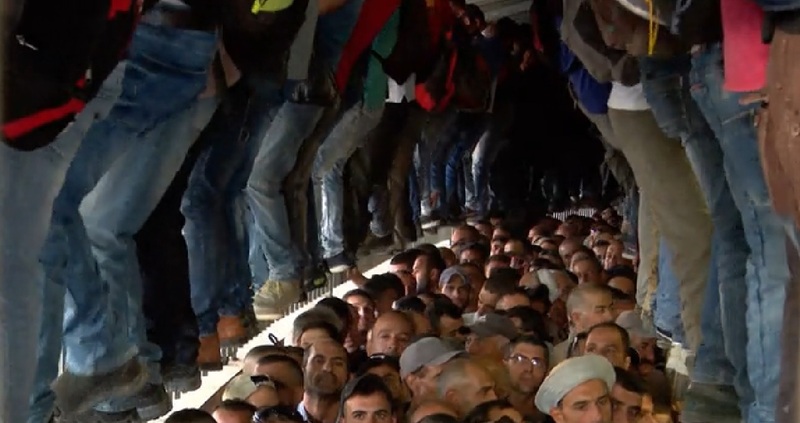 Palestinians are living their lives in limbo. 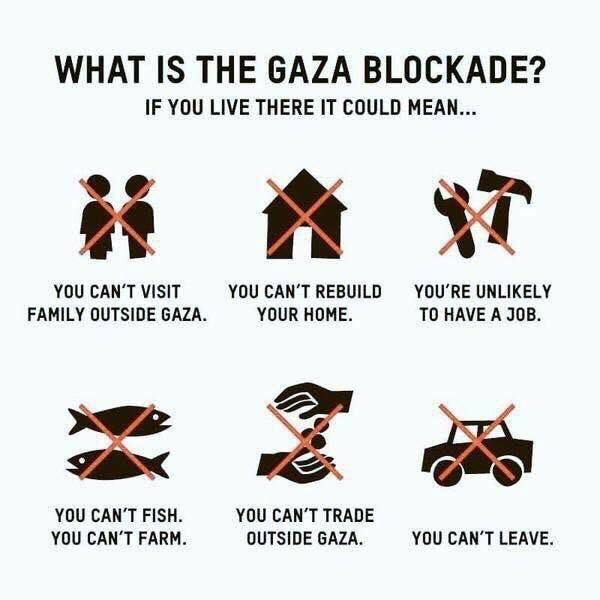 When we see people in Gaza heading to the weekly ‘Great March of Return’ and we realise what is left of the West Bank and the devastating status of Gaza we seriously have to ask the question to what Palestinians can return that can be called Palestine. The Israeli restrictions on movement, the pending issue of The Right of Return, the plight of Palestinian refugees and displaced Palestinians and simultaneous the stealing and fragmentation of Palestinian land are all part of an Israeli master plan to turn Palestine in an utopia. Here we will unveil some of the ingredients of this devilish master plan. One can hardly imagine what it means being locked up in your own country and to be restricted to travel inside or outside that territory. In occupied Palestine it is a hard reality. This joint report from B’Tselem and Center for the Defence of the Individual (HaMoked) from 2014 reviews the various procedures imposed on Palestinian families some of whose members live in Gaza, i.e., families that are split between Gaza and the West Bank or between Gaza and Israel (including East Jerusalem). Under the Oslo Accords, “ the two sides view the West Bank and the Gaza Strip as a single territorial unit, whose integrity will be preserved during the interim period. In order to implement this in practice, the accords dictated arrangements for operating a safe passage along two routes connecting the northern and southern West Bank with the Gaza Strip. The passage was opened only several years later, through the southern route only, and operated for less than a year – from October 1999 to September 2000, when the second Intifada began. Although this position was never officially rescinded Israel’s declared policy has changed and now considers the West Bank and the Gaza Strip “two separate and different areas. Israel’s official position at present is that Gazan spouses of West Bank residents or of Israeli citizens or residents have no right to enter Israeli territory, even if only for the purpose of transit to reach the West Bank. Apart from the reasoning concerning statehood and sovereignty, Israel cites security concerns as justification for collectively prohibiting Gaza residents from entering its territory. The explicit rationale is that any movement between Gaza and the West Bank may pose a security risk, even when the person requesting permission is not considered a threat in him/herself. According to that argument, “allowing residents of Gaza to move freely among these areas places the State of Israel and its residents in clear danger – even more so when the case is allowing residents of Gaza to travel through the territory of Israel”. On that basis, the state’s current position is that entry by Gaza residents into Israel, including for the purpose of reaching the West Bank, “is limited to exceptional humanitarian cases only, particularly urgent medical cases, subject to the Respondents’ discretion, who are under no obligation in this matter”. Since Gaza has no longer an operating airport or harbor all travel outside the enclave goes through Israel. The borders with Egypt are rarely open and people from Gaza need permits that will take sometimes months to obtain and are expensive and therefore not achievable for all people. Even not for the medical cases. According to B’Tselem, by the end of January 2017, there were 98 fixed checkpoints in the West Bank. Fifty-nine are internal checkpoints, situated well within the West Bank. These checkpoints include 18 in Area H2 in Hebron, where Israeli settlement enclaves are found. 62 of the internal checkpoints are permanently staffed. Permanent checkpoints form the most severe restriction on movement of Palestinians, who are subjected to checks that often cause prolonged delays. Multiple checkpoints have been fully or at least partially privatized, and have private security companies supply them with staff of armed civilian guards, under the supervision of the Ministry of Defense. In addition to permanent and partial checkpoints, the movement of Palestinians along West Bank roads is controlled by checkpoints deployed on an ad hoc basis in places without pre-existing infrastructure, known as ‘flying’ checkpoints. The United Nations Office for the Coordination of Humanitarian Affairs (OCHA) recently completed a comprehensive ‘closure survey’ that recorded 705 permanent obstacles across the West Bank restricting or controlling Palestinian vehicular, and in some cases pedestrian, movement. Between 1948 and 1952 circa 615 Palestinian villages and towns were erased or depopulated. Some places were entirely destroyed and left uninhabitable and others were left with a few hundred residents and were repopulated by Jewish immigrants, then renamed. De-Colonizer, an Israeli NGO, created a map that shows the Palestinian, Jewish and Syrians localities destroyed since the beginning of Zionist migration (end of 19th century). 64 Palestinian localities in the south and north of the country, including Umm el-Hiran, remain unrecognized by Israel. As a result, they do not appear on any official maps, lack basic infrastructure and utilities, and many of them are slated for destruction. The Israeli settlement policies are constructed in a way to fragment as much Palestinian land as possible. With small pieces of Palestinian land scattered across the West Bank a Palestinian State will become unattainable. The fragmentation through new Israeli illegal settlements and roads are part of erasing the Palestinian identity. 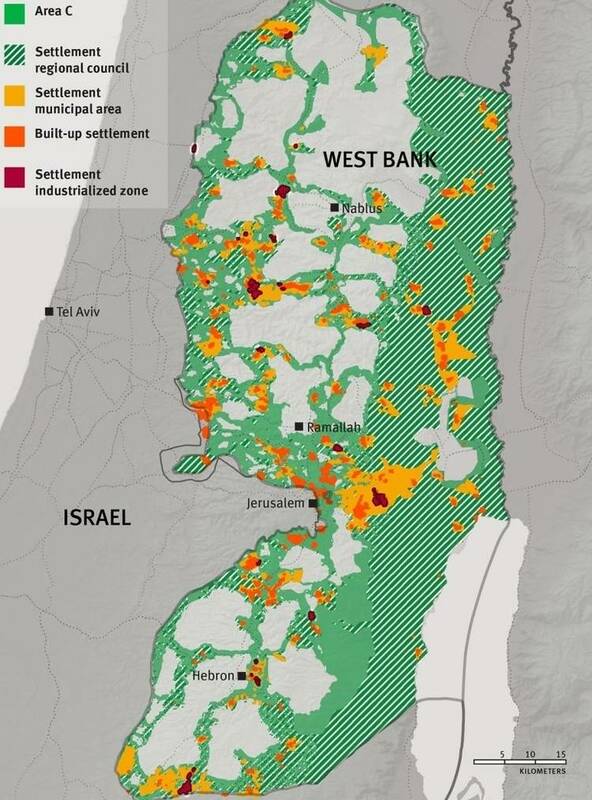 In the graphic below from Oceans of Injustice is showed how the West Bank is turning into a collection of fragmented enclaves. Following the Nakba in 1948, the UN set up refugee camps and humanitarian relief for the refugees, creating the United Nations Relief and Works Agency for Palestine Refugees (UNRWA) in the process. There are about 7.54 million Palestinian refugees in the world in addition to 720,000 internally displaced persons. Nearly 5.3 million refugees are registered with the United Nations Relief and Works Agency for Palestine Refugees (UNRWA) and 1.5 million subsist in 58-refugee camps across Lebanon, Jordan, Syria, and the occupied Palestinian territory (Gaza, West Bank, and East Jerusalem). Palestinian refugees, who were forcibly displaced as a result of 1948 and 1967 wars, are stripped of their UN-mandated Right of Return and face substantial challenges to the full enjoyment of their rights. Inside occupied territories we see many displaced Palestinians or Palestinians that are facing imminent expulsion. Think about the families of the Jahalin Bedouin tribe in East Jerusalem, who are being evicted in order to link Israel’s settlements in the “E1” area. Think about the Arab Triangle inside Israel, whose towns are overcrowding due to highways and strategic Jewish towns blocking their expansion. Think about the South Hebron Hills, where Palestinian villagers are being displaced to make way for IDF firing zones. And think about the Naqab (Negev), where Bedouin citizens are being forced into townships to make room for new Jewish communities and forests being built on their villages’ ruins. Thousands of people – residents of dozens of Palestinian communities located throughout Area C, the West Bank – face imminent expulsion by Israeli authorities on a variety of pretexts. This makes that millions of Palestinians are waiting to return to their hometowns and villages. Uprooted, their lives stalled and often lacking protection and opportunities to work. Sadly sometimes the dangers are so profound that refugees have to flee again as we saw in the case of Yarmouk refugee camp in Syria. 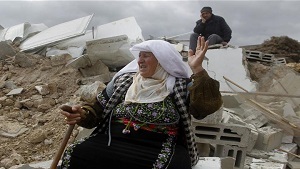 More than 350 Palestinian families live in the Jandairis district of the northern rural area of Afrin in Syria, with a total of 1,500 Palestinians. Most of them used to live in the Yarmouk refugee camp, south of Damascus. Since its establishment, the camp has suffered from a severe shortage of basic services such as food, water, clothing and housing. Whatever will be left of Palestine,The Right of Return is the only thing to hold on to for the Palestinian people, their identity and for many their only purpose in life. All we have mentioned are the ingredients of a carefully considered master plan. Palestinians are being kept busy by a range of restrictions and hardships while the occupier makes good use of this stolen time to continue erasing Palestinian land, lives and heritage. The following headline actually sums it up all: “Palestinian Killed by Gaza Rocket in Israel Had Nowhere to Run, Neighbors Say”. Mahmoud Abu Asba, 48, was a construction worker who lived in Ashkelon with a special permit. He was from Hebron and in the weekends he would visit his family. His neighbors said the building had no shelters. Fifteen years of service in Israel, building houses for his occupier, living in a building that had no shelter… Killed by a rocket from Gaza, where his people are fighting for the Right of Return and freedom, overlooked by rescuers. Abu Asba had nowhere to run and so do all Palestinians inside or outside occupied Palestine, deprived of their safety and their roots.